The market of mobile apps is growing rapidly like never before. According to App Annie – leading global provider of app market data – in 2018 the number of downloaded apps reached 194B worldwide, which is 35% more than in 2016. In addition, global app store consumer spend increased by 75% since 2016 and application market size reached $101B. But it’s not only the number of uploads and money spent that is growing, but also average time of app use. In countries such as US or Canada smartphone owners were spending around 3 hours a day using their mobile apps in 2018. How to find a great niche for a mobile app? How much does it cost to build a mobile app in 2019? Pokemon Go with its augmented reality mode broke the app market and became viral in summer of 2016. In just two years it reached the impressive number of $2B revenue as stated by Apptopia. In 2017 Ikea released its AR application called IKEA Place App, aiming to help their customers choose pieces of furniture in genuinely interactive way. The well known social application with augmented reality feature Snapchat became #1 in France in 2018 among social and communication apps by average sessions per user. Mobile virtual reality or VR has never been that affordable. Anyone who has a smartphone can purchase a cardboard VR headset to get the experience of VR apps available for downloading in app stores or to watch 360 degree videos on Youtube. The App that stood out and was awarded by Google Play in 2018 in this category was BBC Earth: Life in VR. Another VR app worth mentioning is Just a Line, an experimental app that allows you to make simple drawings using your phone in augmented reality, film a short video and share it with your friends. No doubts that everyone who has a smartphone has at least heard of Siri or Google Assistant or similar AI apps that aim to make our life easier by searching information using voice commands. But Artificial Intelligence is more that just an assistant, it learns from user behaviour, it is integrated in chatbots and thus leverages user experience in app. AI can not only make your app smarter but also saves money in the opinion of Gartner. Even regular apps now provide the unique user experience by using AI. In 2017 Starbucks launched its operated by AI app called My Starbucks Barista enabling customers to place their orders with the virtual barista. The app identifies user location and calculates the time it takes to get the order done. The Starbucks app became the most popular in the category of restaurant loyalty apps as reported by the Manifest. Since 2016 the amount of downloads of finance and banking apps has grown up to 16% and reached 3.4B times in 2018. On average users check their bank account and make some transfers using apps every day. Mobile wallets, another popular trend in the last years, is a great option for those who don’t want to carry around all the plastic debit and credit cards they have but rather just take their smartphone whenever they go. Android users can install Google Pay while people who prefer iOS can use Apple Pay. Developers can integrate these mobile payment systems into their apps instead of building the new ones. In accordance with eMarketer’s report, the top payment system in US was, however, Starbucks. On November 11th, 2018, on so called Singles Day, we all witnessed a record in e-commerce sales hitting $30.8 billion in 24 hours. As reported by Statista, the top online retail platform in China Alibaba has up to 90% mobile users. The whole month of November 2018 hit another record in time spent for shopping mobile. But nowadays a shop doesn’t have to be big to start taking benefits from creating its mobile app. The advantage of having mobile application for even a small business is that it increases brand recognition and brings e-commerce user experience to the whole new level, it helps to build customer loyalty, to collect feedback as well as simply stand out from the crowd. In 2018 the number of food and drink apps downloads grew by 115% comparing to 2016. Today more and more people prefer to check the place and its menu before actually going there. Restaurant and food apps encourage clients interaction, grow their loyalty and increase brand recognition. The top food app in 2018 was the above mentioned My Starbucks Barista with its rewarding system, built in navigation and artificial intelligence. Another popular app in food sector turned out to be Domino’s Pizza app that helps you to place your order using AI and track your pizza location on the map. Netflix, the leading TV show broadcasting service, was ahead in annual consumer spend in 2018, while YouTube was number one in time spent. In March Youtube enabled live broadcasting for its creators with smartphones and in June Youtube Premium was introduced with the possibility of downloading and watching videos offline. YouTube Kids aimed at children aged 4 and up, meant to protect them from inappropriate content, also remained among leaders in some countries. The video streaming service for gamers Twitch was in the top five apps by time spent in such countries as US, Canada, Australia and others. 50% of time spent on apps in 2018 users were using social and messaging apps. WhatsApp turned out to be the most popular messaging application outshining Snapchat, Facebook Messenger and Viber. That confirms the fact that a free high-quality communication app will always be in demand as the traditional sms texting is becoming less and less popular. Snapchat, nevertheless, remains favoured among young people under 24 years old just as mentioned in the recent Statista metrics. Apps from these categories showed growth around 50% in 2018. Users downloaded a wide range of travel and navigation apps such as accommodation or ticket booking apps, car sharing apps, local restaurants navigation apps, public transport apps, etc. A significant breakout was made by bike and scooter sharing apps with a 530% growth. Lime, the top electric scooter and bike share app, allows a user to find the nearest free vehicle using GPS, unlock it using QR code and enjoy his or her ride in an ecological and fun way. The service is available now in 50+ cities in US. In 2018 users were more likely to spend on game downloads and in-app purchases than in the previous years. On the opinion of App Annie, mobile gaming will reach 60% of the app market share in 2019. However, the game license freeze in China market will possibly slow the growth down. Game number one in the number of downloads and number two in revenue became Candy Crush Saga. Games inside this franchise have been downloaded for more than 823 million times since its was first launched in 2012 according to SensorTower. Users downloaded 3 times more apps from health and fitness categories than in 2016. The most popular fitness app was MyFitnessPal, which boosted the growth of other apps in this sector. One of the breakthrough of the past years became a meditation app called Simple Habit. This app’s purpose is to reduce stress by spending a little time (from 5 to 20 minutes) on meditations a day. Simple Habit was honored by Google Play Award 2018. As the mobile app market is continuously growing and total consumer spend in apps is increasing, we can predict that this tendency will continue in the coming year. On average a user consumes media around 7.5 hours a day, with video streaming being a part of it. Social video apps and video streaming apps will definitely remain on a high demand in 2019. Augmented and virtual reality will also stay trendy in the following years, and we’ll apparently witness new successful AV and AR apps to appear in the market. Artificial intelligence will keep enhancing mobile user experience in apps and making our smartphones even smarter. Internet of Things (IoT) is improving in a fast pace too. Now people can use an app on their phone to switch on or off some appliances, to check the security cams on their way home and so much more. Now the IoT is not a novelty in such fields as healthcare, security, transportation, e-commerce and many other sectors, that is why the need for quality apps in this sector will be high. To sum it all up we can say that there is a wide range of apps in mobile stores, the quality of which is improving constantly. Google Play and App Store ensure that only useful and high-quality applications that meet their guidelines are available for download. Nevertheless, there always will be a successful and profitable niche waiting to be discovered. First of all, it’s a custom mobile app for your brand. Though websites are designed to be mobile friendly, user experience in real applications is much more intuitive and comfortable, plus customer loyalty in-app programs can really boost your sales. Embedding banking system in an app may also enhance the customers experience the way it did in the famous coffee shop. Secondly, people are social human beings, that is why new social networks appear in the mobile stores all the time and some of them become viral. And now people are not just texting each other but also share photos or videos or even playing games during their conversation. Local community or navigational apps may also be a good idea, like rental or barter apps that already have grown popularity. 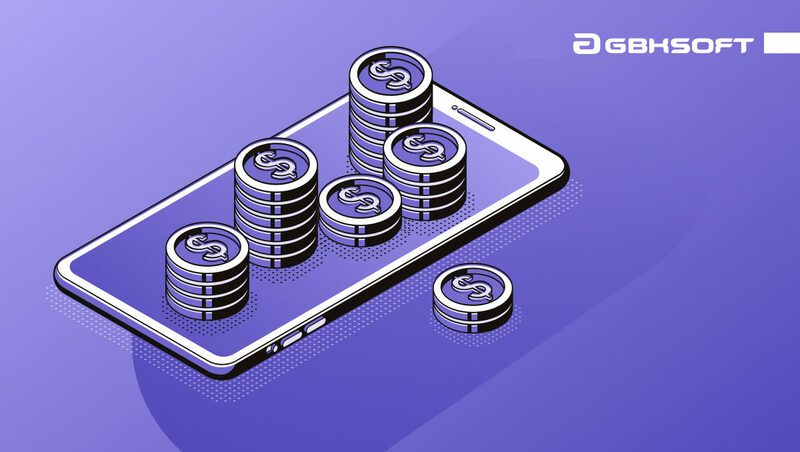 And finally, we shouldn’t forget about game’s part in the application market, through developing a truly high-quality game has never been cheap and may break a bank. If you want to be among those who make money on apps and have a project in mind you would probably wonder how much will it cost to build an app that will actually bring profit and break into the app market. Well, it depends on such factors as how complex your app will be, the functionality it should have, how big the development team you want to be and how fast you want your app to be in the stores ready for download. The cost may also vary from one region to another. The cheapest geographical area for your future app to be developed is considered to be Asia but the final product may lack in quality. On the contrary, you may be charged 15 times more if your app is being created in the Silicon Valley but it may cost you a fortune. The best price and quality ratio is considered to be found in Europe with its large pool of IT talents and reasonable prices. But how is the price actually being determined? First of all, we ask questions about your future app to define its functionality and estimate the rough budget. Then the development team turns this information into modules and calculates the time needed to complete them. After the pre-development stage when we write specs and create mockups we are able to give you the final estimate of the project. Our average rate is between 50 and 99 USD/hour while the development hours spent on a project starts at 300 hours per mobile app. Interested? Contact our team and tell us about your idea!